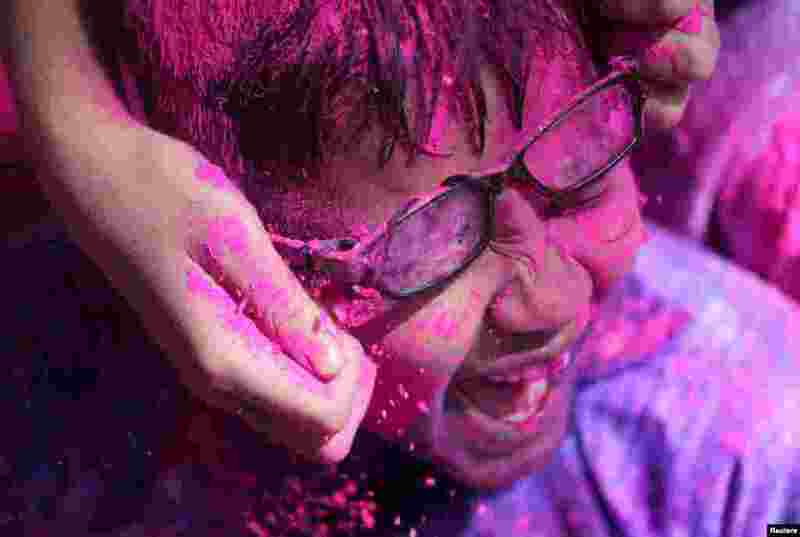 1 Disabled children cover each other in colored powder during Holi celebrations in Mumbai, India. 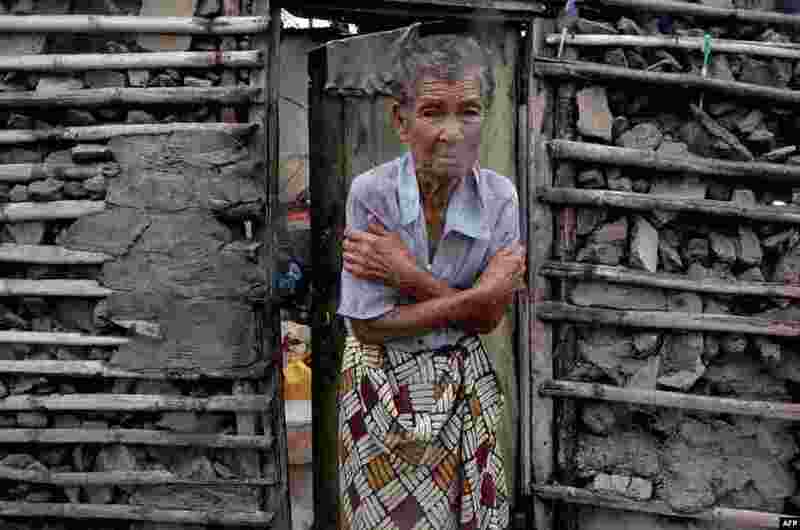 2 A cold, displaced woman stands in the doorframe of a house in Beira, Mozambique. More than 1,000 people are feared dead after a powerful ocean storm struck the country last week. 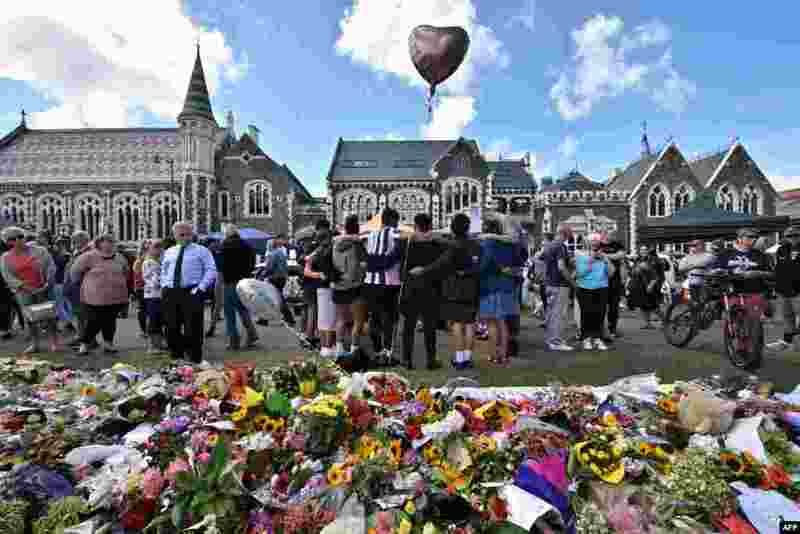 3 A group of students sing in front of flowers left in memory of victims of a shooting at two mosques in Christchurch, New Zealand. 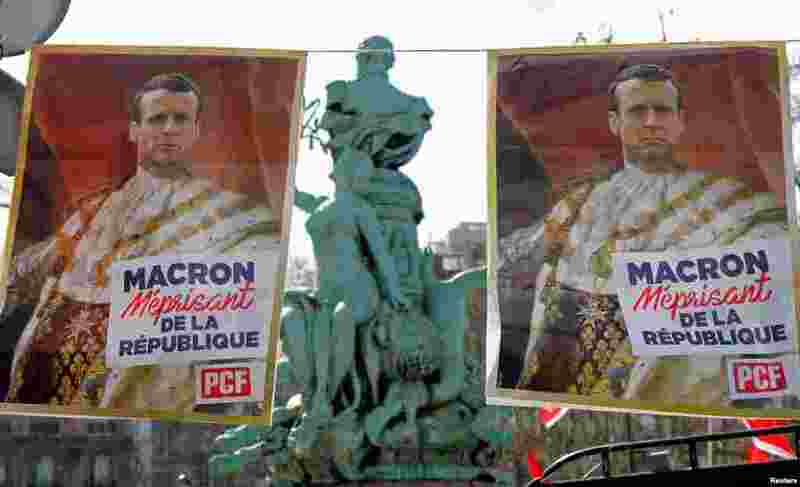 4 Posters with drawings of French President Emmanuel Macron wearing the coronation clothing of King Louis XVI are shown during a demonstration by labor unions against the government's reforms, in Paris.